Want to recreate that eerie, surreal terrified feeling you get from watching Lost? Well you can now bring a little bit of it into your sitting room with an prank app that will play back the unsettling jungle echoes from the show. Finally the mulitasking of iOS4, has come in useful. 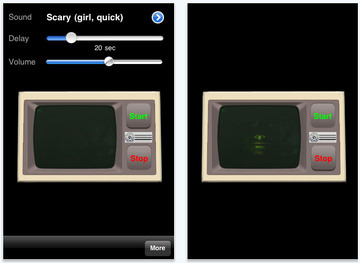 This app can run in the background, putting out spooky jungle whisperings while the phone is, to all appearances, off. The app called Lost Whispers, comes with 33 different eerie whispering options and is configured to help you use your iPhone as a prank tool. It plays the scary whispering sounds in the background while your friends are totally clueless of where the whispers are coming from and are “left in a state of confused and frightened shock”. Just how you want to leave your friends. Hide it behind a pillow in a dark room for maximum effects. – Bella from Twilight whispering some poetry. Poll: Tweetdeck is the most downloaded Twitter Client – do you use it?